Woodridge Bed and Breakfast Slidell Louisiana - Shootin' the Breeze: May the Luck of the Irish be with you! March 17th, St. Patrick's Day, the day we all become Irish and celebrate with green beer, cabbage with corned beef or a fond Irish Stew. It's the day we all wear green, look for 4 leaf clovers, green leprechauns and the pot of gold. One of the many cultures that make our nation what it is, the Irish worked hard to become Americans. Building our railroads and working the coal mines, like many of our forefathers earned their right to be called American. New Orleans is rich with Irish heritage as well, as it historically has had the largest Irish population in the south and attributed to 25% of the New Orleans population in 1861. It is then not surprising that areas such as the Irish Channel have been adorned with the name. 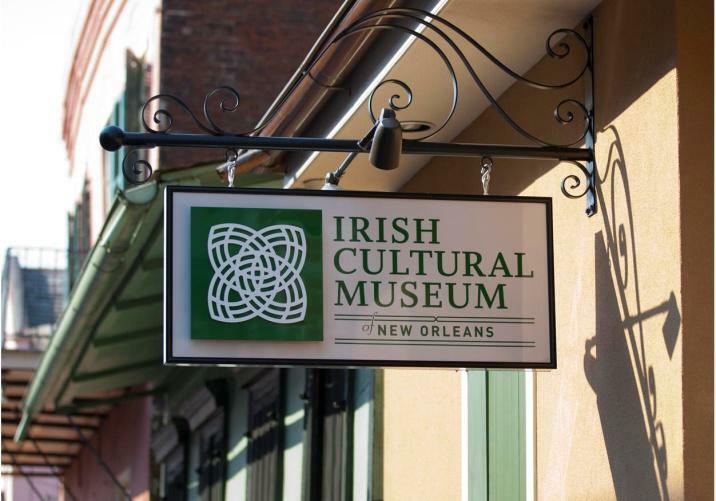 To learn more about the history and culture the Irish brought to the city of New Orleans, visit The Irish Cultural Museum located in the French Quarter. Today New Orleans celebrates the day in our own tradition - parades! 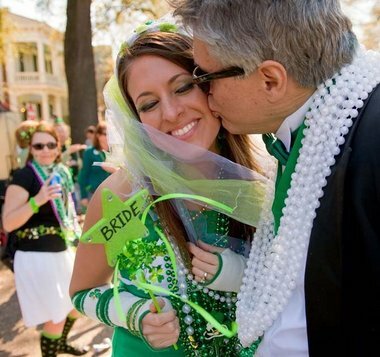 Irish walk the streets with white and green beads, green carnations and dishing out kisses to the fillies as they pass by. The larger parades of floats loaded with revelers and sacks of cabbage, carrots, onions and potatoes... if you're lucky you will go home with a good start to your Irish stew. Make your plans now to be here next Paddies Day, and celebrate like the Irishmen.